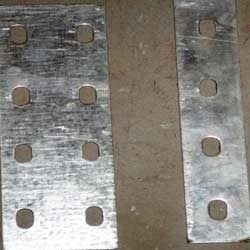 Manufacturer & Exporter of Coupler Plate. Our product range also comprises of Perforated Sheets, Perforated Screen and Perforated Elbows. We are engaged in manufacturing and supplying a wide range of Coupler Plate, which is available in different size and shapes. Designed by using latest technology, our range of these plates is of international quality standard. The salient features of our range of Coupler Plate are listed. Looking for Coupler Plate ?